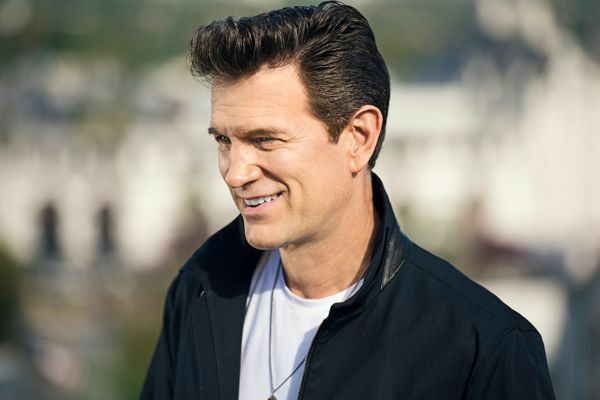 Chris Isaak — Fox Tucson Theatre, 17 W. Congress St. 7:30-9:30 p.m. July 21. $37-$99. 547-3040. CONCERTS. Jazz Late Night: Agave Ensemble — Maynards Market and Kitchen, 400 N. Toole Ave. Jazz. 8:30-11:15 p.m. July 20. Free. 545-0577. Virginia Cannon Presents — Monterey Court, 505 W. Miracle Mile. An opportunity for Arizona songwriters. For more information passporttonashville.com/home. 6-9 p.m. July 19. Free. 207-2429. American Made — The Gaslight Music Hall, 13005 N. Oracle Road, Oro Valley. A salute to the Oak Ridge Boys, the Statler Brothers and Country Gospel. 6-8 p.m. July 21. $25. 529-1000. Cochise County All-Stars with Sundust Road — Monterey Court. Country to jazz and all points in between. 6:30-9:30 p.m. July 21. $5. 207-2429. Chris Isaak — Fox Tucson Theatre, 17 W. Congress St. 7:30-9:30 p.m. July 21. $37-$99. 547-3040. Wild Women: Diane Van Deurzen and Lisa Otey — Monterey Court. Jazz and blues standards to boogie-woogie with a dash of pop and a generous dose of humor. 6-9 p.m. July 22. Free. 207-2429. Donny and Marie Summer Tour — AVA Amphitheater, 5655 W. Valencia Road. Pop and country. 8-11 p.m. July 22. $30. 1-855-765-7829. American Idol Live 2018 — Fox Tucson Theatre. The top seven contestants live onstage: Cade, Caleb, Catie, Gabby, June, Madde and Michael, plus Season 8 American Idol Winner, Kris Allen. 7-9 p.m. July 23. $34-$79. 547-3040. Uptown Funk with the Desert Divas — The Gaslight Theatre, 7010 E. Broadway. Pop, rock and R&B. 7-9 p.m. July 23. $22.95. 886-9428. Femmes of Rock — Fox Tucson Theatre. Led by rock violinist and arranger, Nina DiGregorio. 7:30-9:30 p.m. July 23. $22-$42. 547-3040. Tribute to Teen Idols: Mark Preston — DesertView Performing Arts Center, 39900 S. Clubhouse Drive, SaddleBrooke. The sights and sound of Bobby Vee, Frankie Avalon, Connie Francis, Paul Anka, Pat Boone, Ricky Nelson, Dion and more. 7:30-9 p.m. July 25. $30. 825-2818. The Titan Valley Warheads — Monterey Court. Bluegrass and western. 6:30-9:30 p.m. July 26. Free. 207-2429.